Heart’s Kenya Gichathaini: Besides having a truly fun name to say out loud, the Gichathaini provides the perfect example of a washed East African coffee. We brewed it in the Chemex, and each brew resulted in a mildly juicy cup. Justin compared this bag to an ideal bottle of pinot noir: fruity enough to be playful, but with a depth of flavor that rounds out the jammy brightness. Matchstick’s Guatamala Las Lomas: I mentioned Matchstick on my photo blog as one of the best reasons to visit Vancouver (okay, not the best, but a good reason!). We went there four times for coffee in our six day trip, and each style of coffee or espresso we consumed was unparalleled. We brought this bag home and brewed it with a Chemex. It’s a medium-light roast that reminded both of us of the roasting profile preferred by our favorite roaster in New York, Cafe Grumpy. 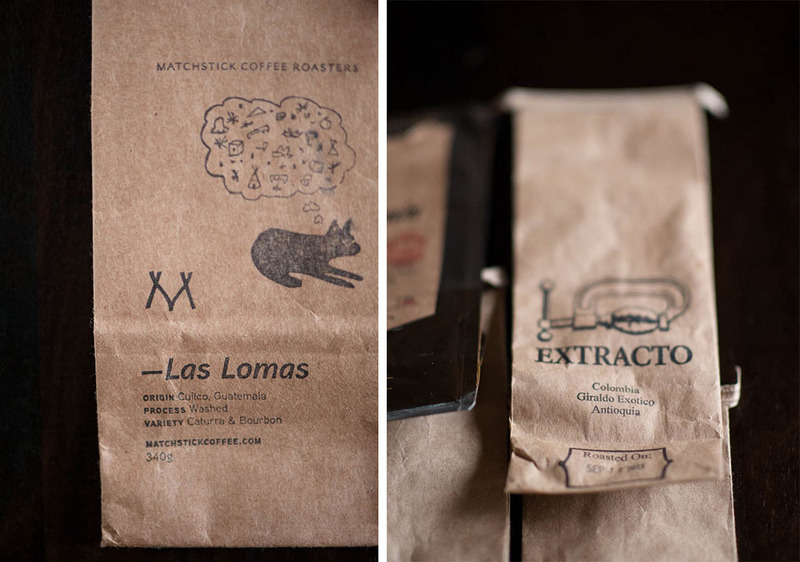 Matchstick chose a winning mix of varietals – Caturra and Bourbon. It’s a mix that can be hard to get right, frequently over-playing the bass notes, but Matchstick coaxed out the perfect cup – rich, balanced, and structured. This coffee stands out as one of my favorite coffees I’ve had, not just this year, but in memory. 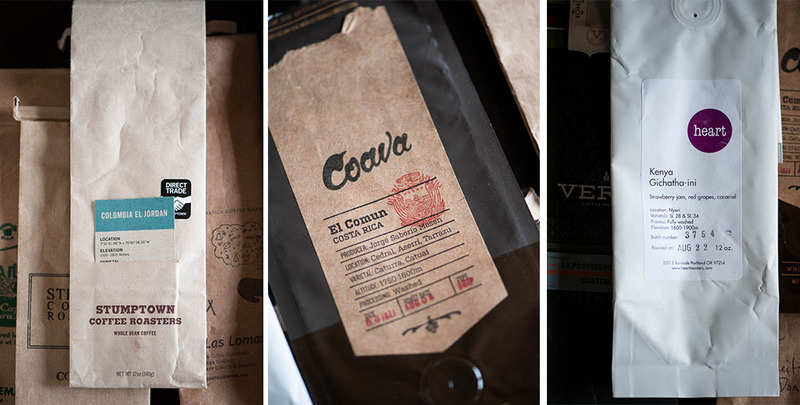 Stumptown’s Costa Rican Villalobos: A frequent purchase in December, Stumptown’s Villalobos rounded out our year of coffee perfectly. An ideal morning cup of coffee, especially when brewed in the V60, its body and depth of flavor are both reasons to get out of bed in the morning. I’ll definitely seek out this coffee next year. 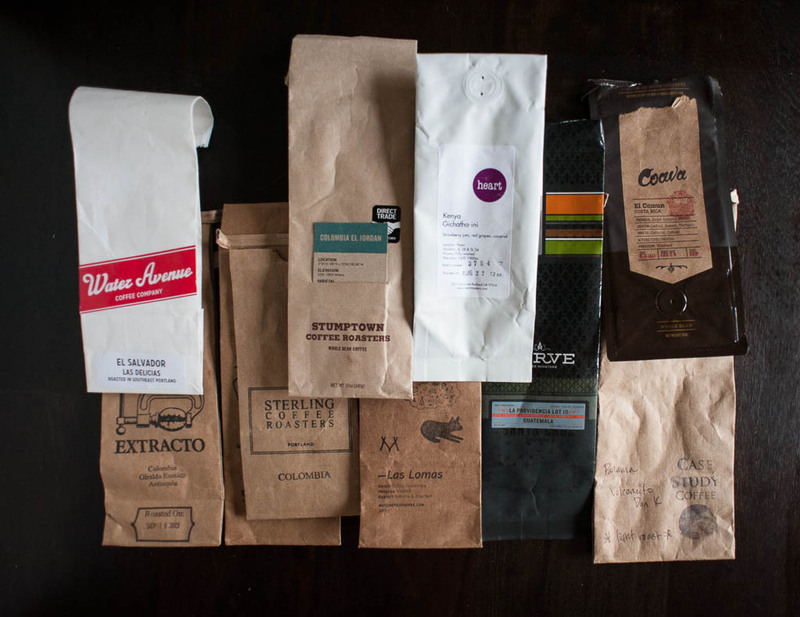 Most caffeinated month: January, of course, and surprisingly, April. Least caffeinated month: June, for inexplicable reasons. Favorite roaster (at least according to number of bags purchased): Stumptown (we live close to two Stumptowns and they roast consistently excellent beans). Second place: Coava – this number increased this year because our local grocery story, New Seasons, began a collaboration with Coava, making it easy for us to walk over to the store and pick a bag up. Least favorite coffee: Trailhead. While I appreciate their dedication to sourcing and sustainability, I found this coffee overly roast-y and a bit flat. It’s not all about numbers: Sterling is one of our favorite Portland roasters yet we only purchased one bag because we’re rarely up in the NW 23rd district. 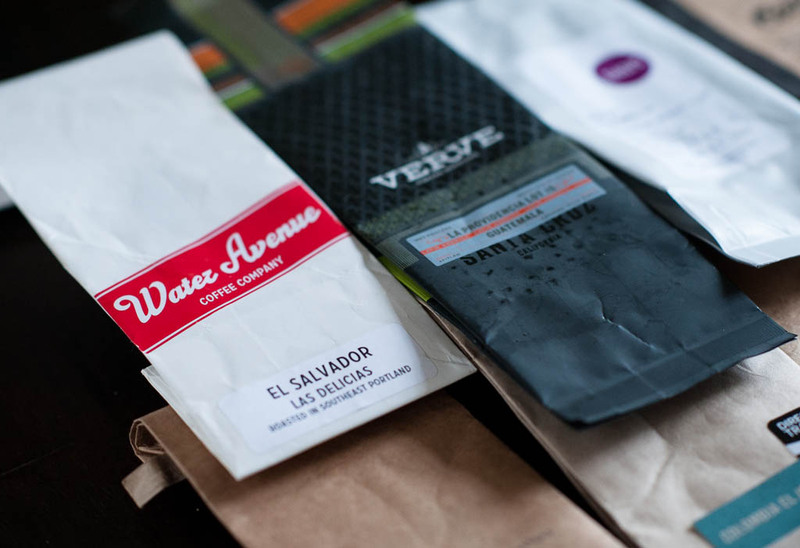 Coffee shop vs coffee bags: I frequently work at Case Study, yet we only bought one bag of their beans. This says nothing about the quality of their coffee, but the fact that I drink their coffee all the time during the day and wanted to branch out in the morning.